The Curve Editor Plug-in allows you to adapt all the skills of classic animation principles to your iClone animations. Select a motion clip or a section of keys from the timeline and start applying curves to achieve the best animation performance. Exercise full control over time and space adjustments in your animations, create smooth and cinematic cameras, perform arc rotation for cartoon animation, and achieve the perfect ease-in and out behavior! 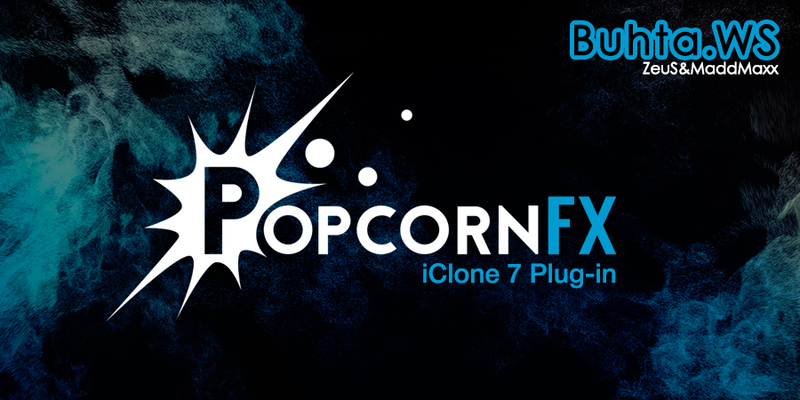 A photo-realistic, cinematic look and feel in iClone's 3D rendering software is now a reality with this iClone Indigo Render Plug-in. Utilize GPU accelerated raytracing render capabilities in Indigo RT, to have your characters, props, and scenes now look completely different than before. To streamline this unique workflow, Reallusion provides automatic shader mapping between iClone and Indigo. In addition, users can perform custom refinement using Indigo's unique shader options, or download Indigo's material library to achieve even better results. Skylight and emissive material settings ensure correct global illumination, and allow for realistic light behavior via reflection, refraction, transmittance, and caustic effects. Furthermore, the physical camera DOF and tone mapping system can be combined with excellent lighting and materials to create vivid and astounding story visuals like never before! 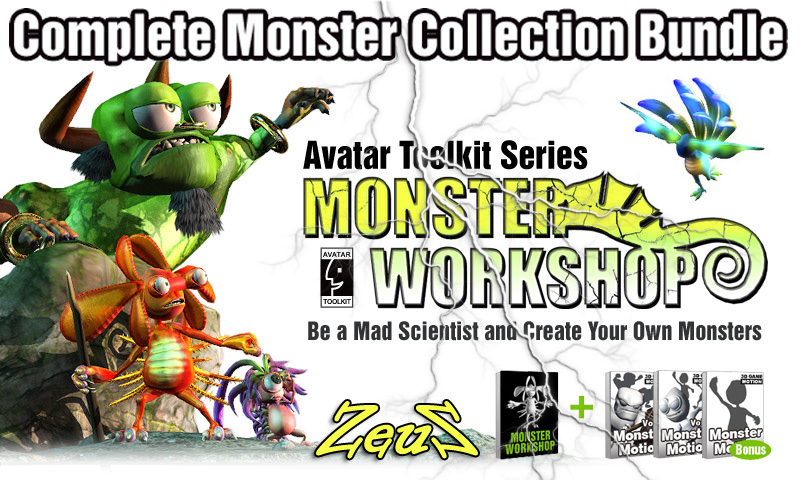 Description: Monster Workshop is a revolutionary 3D character content pack designed to work with Avatar Toolkit Plug-in, which you can puppet and animate your own custom creatures using the super easy Avatar Toolkit user interface. This pack contains dozens of animation-ready creature components along with more than 200 materials that perfectly match any Toon Avatar base. Create unlimited varieties of monster characters by combining monster eyes, eyebrows, ears, tails and fins. Apply iMotion clips to them or use iClone's animation tools to drive their body movement and bring them to life. Assemble from the library of puppet-ready components - eyes, eyebrows, ears, tails and fins to easily generate all kinds of wacky creatures. You can simply apply the components and move them to the right position and scale them for different results.You can design your own freaky or friendly looking monsters by scaling their body parts to resemble small but evil Gremlins, strong Goblins, Imps, or slender Elves. You can also mix-and-match exchangeable body parts to shape your character's own special look. After creating your own weird and wonderful monsters, try bringing them to life! Simply drag the Puppet Controller to the stage to control its facial expressions. From there you can animate the eyes and any facial or puppet body accessory using real-time puppet or keyframe methods. You can get great results and save a lot of time while you're at it! You can assemble monster creatures with additional sets of spring-dynamic accessories which react naturally to your monster's movement without the need for you to puppet them. They perfectly respond to any iMotion movement, and you can apply those spring components to any iClone characters to spice up your animation as well. Monster Workshop introduces the morph-based head system to enhance the unique facial animation performance for each different character base. Each monster character is built with 32 facial morph targets for lip-syncing and expression control. You can open the iClone Puppeteering Panel, choose the corresponding facial profile for your monster, then use your mouse cursor to control your creature's unique mouth movement. This also works perfectly with audio Lip-Sync, so you can make your monster talk with uncanny realism. This pack offers over 200 material varieties so you have a vast selection of color combinations to use with your monster. You can also adjust the character’s colors yourself as well as the material effects, or modify the texture maps with your own favorite paint tools. Description: Avatar Toolkit 2 is a complete 3D avatar creation system that allows you to freely design and assemble your own animatable characters. It also comes with an intuitive control system that not only allows you to customize every detail and expression on your character's face, but also determine the way they are animated as well!